The drive you want when you’re looking for an SUV that has the ability to get everything done you want and give you a comfortable ride when you head out on the streets is the Jeep Grand Cherokee. This is a family-sized SUV that can carry the load, haul the trailer, and handle riding over rocks and through mud the way you want. Take a look at the pricing offered and make this the right model for you to have the quality and capability that’s right for you in Margate, FL. The personality of the Jeep Grand Cherokee is of an SUV that’s both rugged and refined to make sure you can have five passengers that are comfortable and ready to have some fun on the roads and trails in your area. This is an SUV that can handle the foul weather with ease and head out in the sun and surf the way you want. 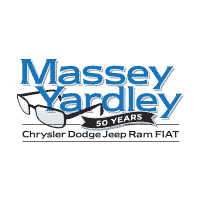 Take a look at the pricing offered at Massey Yardley Chrysler Dodge Jeep Ram Fiat in Plantation, FL and let this become the right vehicle for you to have the drive you’re looking for in Margate, FL. When it comes to incredible power, FCA has created the Hellcat engine which is now stuffed under the hood of the Jeep Grand Cherokee Trackhawk. This model pumps out a massive 707 horsepower to give you the amazing performance that can be exciting on the roads and trails you want to drive. There is also a new infotainment system that brings you Apple CarPlay and Android Auto for the drive. Check out the pricing of the Grand Cherokee 25th anniversary edition that’s offered and see if it will be the right model for your driving needs in Margate, FL. In order to make sure you have a comfortable and competent ride out on the trails and roads in your area, The Jeep Grand Cherokee is offered with an optional Quadra-Lift Air Suspension system. Take a look at the pricing of this system and see if it’s the right choice for you and your daily ride in the Margate, FL area. This system offers you as much as 10.6 inches of ground clearance while improving the aerodynamics of this SUV at the lowest settings. Let this be part of the package you’re looking for when you drive in your neighborhood. The family sized off-road performer you want to drive and take out on the roads and trails with you is the Jeep Grand Cherokee. This smooth and capable SUV continues to be the right one for you to have the drive you’re looking for. Visit the dealership of Massey Yardley Chrysler Dodge Jeep Ram Fiat in Plantation, FL and let them show you the pricing offered for this SUV that you want to choose for your driving needs on the roads around Margate, FL. This team will put you behind the wheel to have the ride you’re looking for.